For Indigenous people from Northern B.C. to New Zealand, traditional tattooing means something a lot different than it does in your average tattoo shop. Dion Kaszas has been getting under people's skin for nearly a decade. Now he's helping to foster the revival of Indigenous tattooing practices. 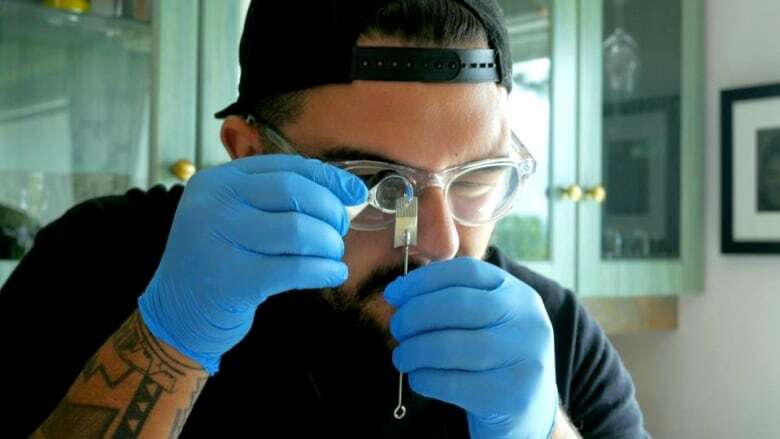 Last year, Kaszas started Earthline Tattoo School with the hopes he could help Indigenous people strengthen connections to their culture. "We are losing a lot of people because they've decided that they don't want to be with [the community] anymore," he told CBC Daybreak South's Jaimie Kehler. "I've found that this type of tattooing actually anchors people to their culture and helps them to stay here longer." The Earthline school is run by Indigenous artists and only accepts Indigenous students. For Métis tattoo aficionado Audie Murray, traditional tattooing is a shift from the experiences she's had thus far. She has a handful of machine-inked tattoos — the kind you can get in any old tattoo parlour — and said she wasn't satisfied with the experience. "Every time I received a new tattoo I just felt not super connected with the artist or the studio. I was really searching for that connectivity while getting a tattoo," said Murray. "A really big part of [the tattoo] process is the intimacy of it." Kaszas specializes in two traditional methods of tattooing: One is stick and poke; the other is skin stitching. He teaches both at Earthline. Stick and poke involves a single, hand-held needle that pierces the skin and tattoos one dot at a time. With skin stitching, an artist pushes a threaded needle under the skin to, essentially, "make a tunnel filled with ink." Kaszas is of mixed heritage: Hungarian, Metis, Hawaiian and Nlaka'pamux — an Interior B.C. Salish community. He said every community comes with its own tattooing culture. "Many of the [tattooing] traditions that are represented here were actually outlawed at one time. Not being allowed to embody who you are on your skin as your ancestors did is actually quite a damaging thing," he said. Guest artists and mentors are a big part of the weeks-long program because Kaszas feels it's important to represent Indigenous cultures other than his own. The school has welcomed teachers from British Columbia's Nisga'a, Heiltsuk and Tlingit nations. Artist Pip Hartley came from as far as New Zealand to share Māori tattooing practices. 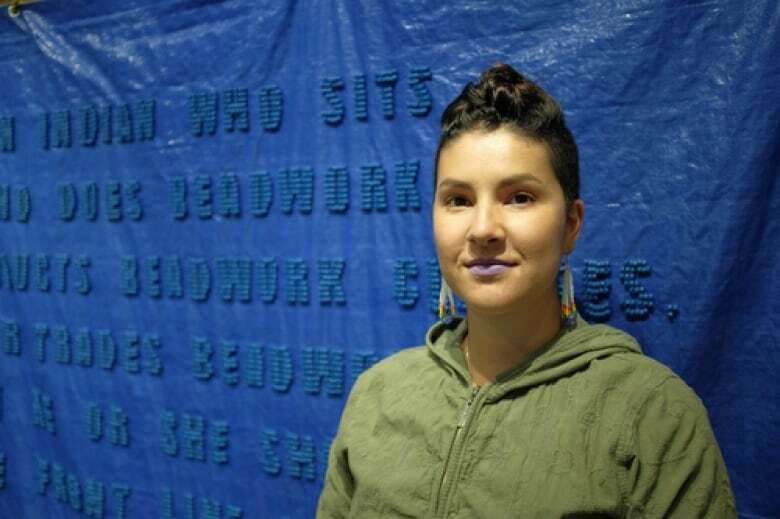 Amy Malbeuf, an established Métis visual artist from Rich Lake, Alta., is part of the Earthline Tattoo Collective — a group of artists that make the course happen. Malbeuf hopes to see traditional practices revived by Indigenous people, for Indigenous people. "I think it's really important for our people to be tattooed by our own people and carry these markings that express our own identity," she said. "Even though we are visible people, we are still invisible ... I think this is a really great way to assert ourselves."